Individuals with an intellectual or developmental disability (IDD) face incredible challenges to workforce participation. Among people with disabilities, those with IDD have the lowest rates of employment, workforce participation, and compensation. 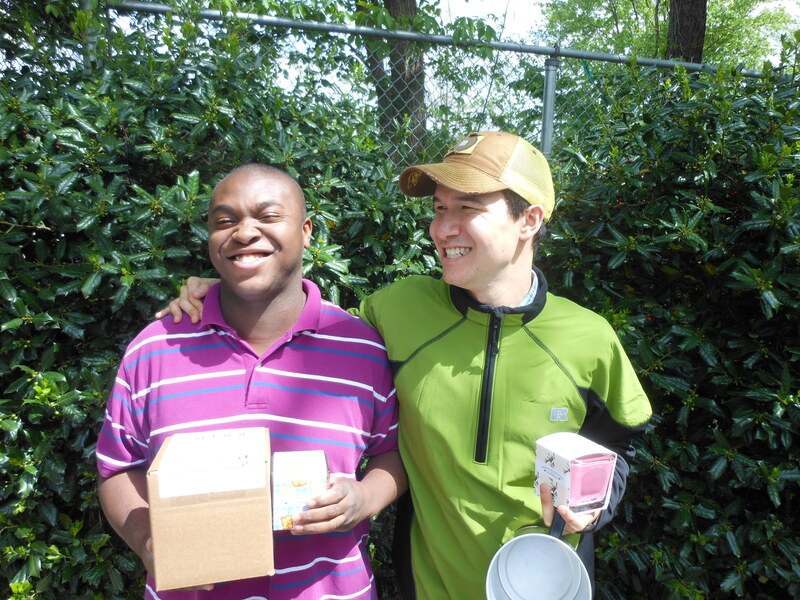 Some estimates suggest that 90 percent of young adults with IDD are unemployed or underemployed. Keep reading to learn more about these barriers and the work Extraordinary Ventures is doing to eliminate them. People with certain disabilities are exempt from minimum wage laws under Section 14(C) of the Fair Labor Standards Act (FLSA). Passed in 1938, the FLSA establishes minimum wage, overtime pay requirements, and child labor standards. It also allows employers to pay employees with disabilities less than minimum wage based on their “productivity percentage”—a commensurate wage based on the employee’s productivity compared to that of a worker without a disability. For example, if a worker with a disability is 50% as productive as a worker without a disability, as measured by quality and efficiency, the individual with a disability is paid 50 percent of the prevailing wage. This employment model is based on what employees with disabilities cannot do, using workers without disabilities to set the standard. By paying employees with disabilities subminimum wage, employers send the message that these employees are less valuable and contributes to the continued marginalization of these individuals. While originally intended to increase employment opportunities for people with significant disabilities, the FLSA had the unintended consequence of promoting continued isolation, marginalization, and economic dependency. The regulations governing the Section14(c) program has not been updated since 1989, though employers are required to recalculate each employee’s productivity percentage every 6 months. Currently, there are more employees with IDD earning subminimum wage than there are earning competitive wages, nearly all of whom work in sheltered workshops. These workshops are often geographically isolated and employees typically work with other individuals with disabilities. In these settings, most employees only interact with paid staff and with other people with disabilities, limiting their ability to fully participate in the community. Additionally, the physical isolation of most sheltered workshops limits the community’s awareness of the skills of individuals with disabilities. At its inception, Section 14(c) of the FLSA was an important acknowledgement of employees with IDD. However, in the more than 75 years since its implementation, this model has become outdated. It is time for systematic changes to create inclusive employment opportunities that recognize the skills of those with IDD and share them with the wider community. Recently, there has been increased focus on creating competitive integrated employment (CIE) opportunities for individuals with disabilities. In 2014, President Obama signed the Workforce Innovation and Opportunity Act (WIOA), designed to improve employment opportunities for people with IDD, especially for youth transitioning out of school. Competitive integrated employment is defined as work that is compensated at or above minimum wage requirements, at a location where employees can interact with people without disabilities, and have opportunities for advancement. A lack of employment opportunities has emotional, financial, and social consequences for individuals with disabilities. In North Carolina, people with disabilities are twice as likely to live in poverty than their nondisabled peers, limiting their ability to make their own choices and fully participate in their community. Competitive integrated employment gives employees with disabilities the opportunity to achieve financial stability, increased independence, improved quality of life, and the opportunity for self-determination.